It’s time to make our tax system fairer and encourage job creation here at home. 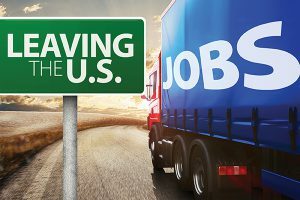 Since the “Tax Cut and Jobs Act” was signed into law in December 2017, companies such as� Harley-Davidson,� Electrolux,� Siemens,� UTC and� Schneider Electric� have announced plant closures affecting thousands of IAM members. – Treat “foreign” corporations that are managed and controlled in the U.S. as domestic corporations.